Social activities strengthen our ties as a church community while fostering friendships and emotional support among members and friends of the congregation. They’re a good way for newcomers to quickly feel at home. Be sure to view our Events and visit our Social Activities pages. Committees work hard but also take time to socialize. And while our classes are for learning, they’re also for fun! Once a month we gather in our Sanctuary and watch a film on our big screen! Generally, with a social justice theme, these movies inspire, motivate, and make us think! Discussion follows. 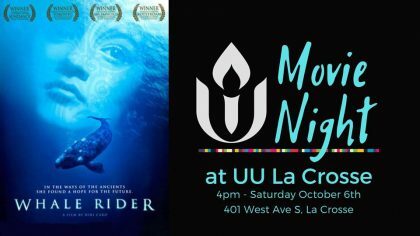 Watch for upcoming Movie Night dates on our Events page. We meet regularly to knit, crochet, sew, bead, chat, snarf cookies, and whatever else we call “crafting.” Sewing machines and comparatively quiet electrical tools are welcome. Band saws might be a problem. 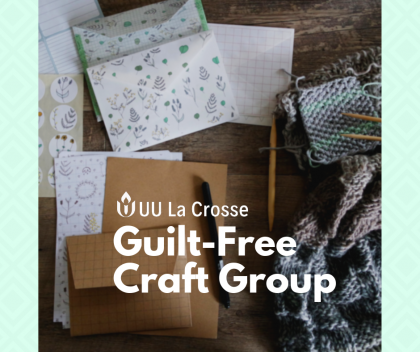 Join the UU Guilt-Free Craft Group Facebook page for information. You might also want to join one of the small discussion groups. We call them Covenant Groups and they meet twice a month at someone’s home, here at the Fellowship, or at a local coffee shop. They generally run from September until the end of May. If you are interested in this, please email Emmy at officeadmin@uulacrosse.org for more information. We all need time to slow down and find a quiet place inside. Sometimes we can do that on our own, sometimes we need others to help us. 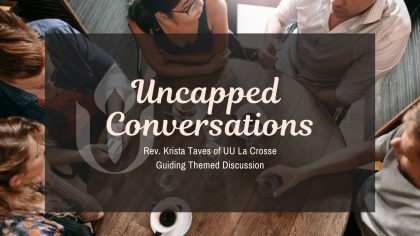 Uncapped Conversations is a time to gather, think deeply about ourselves as spiritual beings, and reconnect with who we are, what we believe, and who we want to become. We gather at JavaVino, once a month, on a Tuesday evening, 6:30 p.m. – 8:30 p.m. To sign up for email reminders, contact Rev. Taves at revkristataves@gmail.com. Visit the Facebook event at https://www.facebook.com/events/224115381599701/. More information to come. Contact ya@uulacrosse.org. For more information about Closed Covenant Groups please contact info@uulacrosse.org. 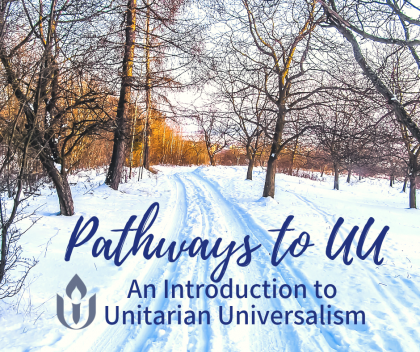 Pathways to UU: An Introduction to Unitarian Universalism hosted by Rev. Krista Taves. If you are new to Unitarian Universalism, new to the Fellowship, or simply want to refresher, this 3 hour interactive exploration of Unitarian Universalist history, theology, and congregational life is for you. info@uulacrosse.org for information about scheduled events. This is a “read for fun” group and we welcome all and anyone who would like to read and discuss books. Have you read a book that you think would be interesting to discuss? If so, let us know. If you are interested, let Jan Jolly know at jollyjanis22@gmail.com to receive more information. Keep Calm and Join the Choir! Fact: Singing in a choir improves breathing, posture, mood, blood pressure, brain power, immune system and energy. Who could ask for anything more? 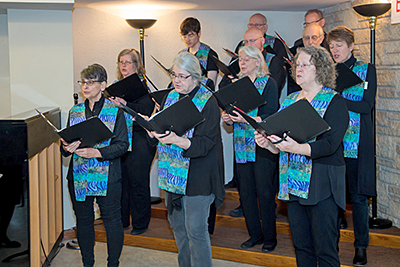 Rehearsals are twice per month, on the first and third Wednesdays, September – May, and at 8:45 a.m. on the Sundays the choir sings. Email choir@uulacrosse.org for more information. About once per month we get together at the Root Note, downtown La Crosse, for a night of team trivia! For those worried about pressure, Team Trivia is much more about cooperation and fun than competition. After all, how many people would show up voluntarily for a pop quiz, high school style? A wide variety of areas gets included, usually including pop culture, politics, and odd stuff! So all ages are welcome, with each person contributing in one way or another. Interested? Contact info@uulacrosse.org for our next get together.